As a significant employer and purchaser, Rochdale Boroughwide Housing (RBH) recognises that it has a key role in helping to directly build the local economy across Rochdale Borough. RBH wants to encourage local businesses, social and community enterprises to be able to collaboratively bid for contracts and work with it. drive social benefits for RBH communities. 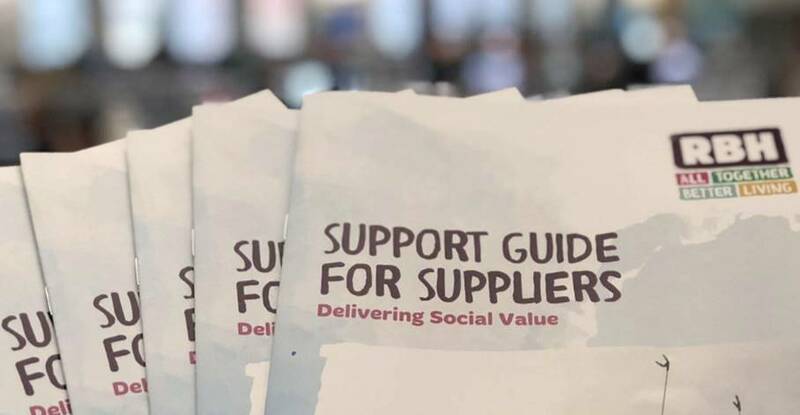 For many businesses tendering for opportunities with RBH and responding to the social value element may be new, so to help it has created an easy to read guide for potential suppliers. The guide sets out RBH’s priorities relating to social value and includes practical ways that businesses can offer and demonstrate it. RBH is clear that this isn’t about businesses creating new add ons, but embedding social value in what they do on a daily basis.